Have you heard about static site generators? 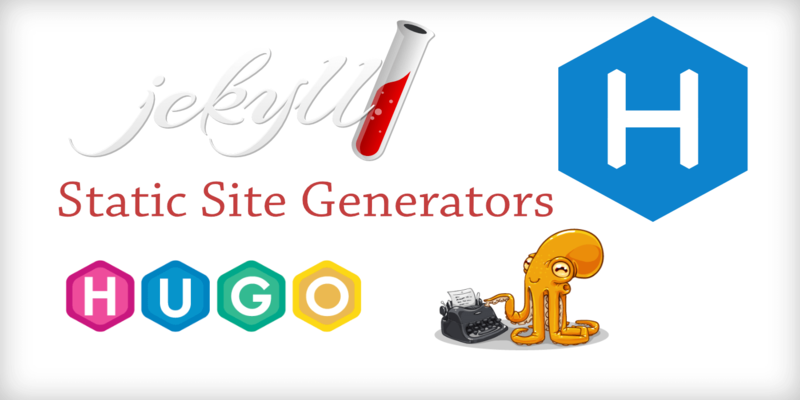 Static sites generators are becoming popular among developers. It is easy to build and maintain. I build all my blogs and websites using static site generators such as Jekyll and Hexo. You can host your static site for free on Github pages or Netlify. I host iblogger.ca on Netlify. The server is also more reliable than most hosting companies. In addition to that, you can secure your site with SSL certificate from Let’s Encrypt for free; you can install it easily from Netlify. I built my websites using Hexo static site generator. It is easy to build by following their documentation. Also there are many beautiful themes on their website that you can download and use for free. For example, I used and customized Hexo Theme Hueman to build iblogger.ca website. A static site loads faster than dynamic website such as Wordpress because it doesn’t need to fetch content from databases and run it through an engine every time a visitor visits the website. As a result, the website loads quickly and can handle traffic spikes. A static website doesn’t have databases queries to run, making it more secure from attacks. Unless hackers know the password to your Github account, there is no way they can hack your website. However, you have to be aware of other third party services that may be vulnerable to attack. One thing I love about static site generators is that I have to update the themes and deal with plugins. I also don’t need to sign in to the website every time I want to edit or publish a blog post. All I do is write a content in markdown and publish it from my command prompt. Once done, Netlify will deploy it automatically. Et voila! You just got blog updates from me. In conclusion, I love static site generators, especially Hexo. It made my life so much easier. I don’t have to work extra time building and taking care of my websites unlike any content management system. Of course, it may not be easy for starters or non-techies as you need time to learn some technical skills. But if you are interested to use static site generators, I suggest you to learn from now by reading articles and following documentation from static site generator websites. For example, if you want to build a Hexo website, go to Hexo.io to learn or Jekyllrb.com if you want to create a Jekyll website. If you have questions, don’t hesitate to ask and post your questions on a forum such as Github community, other developers may answer your questions. That’s how I learned to build my websites. If you need help building your website and host it on Github or Netlify, you can send me a message to info@iblogger.ca. Additionally, you can buy my Hexo or Jekyll themes and I will offer custom support to help you set up your blog. You can visit my business website here.